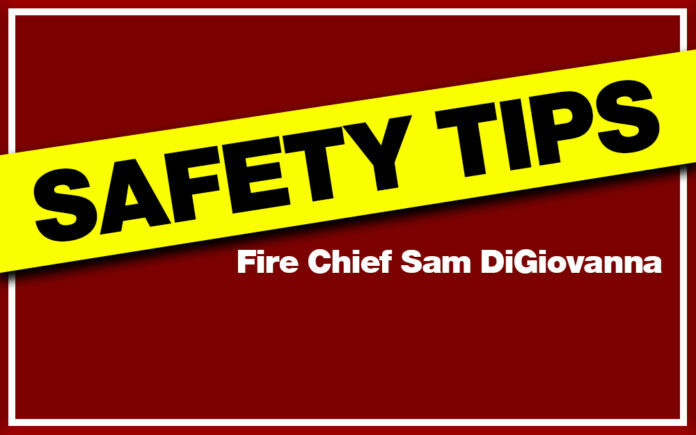 Now that the outdoor decorations are in place, let’s look at a few indoor safety facts and tips. When purchasing an artificial tree, look for the label “Fire Resistant.” When purchasing a live tree, check for freshness. When setting up a tree at home, place it away from fireplaces and radiators. Heated rooms dry live trees out rapidly, be sure to keep the stand filled with water. Use only lights that have been tested for safety by a recognized testing laboratory. Always replace burned-out bulbs promptly with the same wattage bulbs. The tree can become charged with electricity from faulty lights, and a person touching a branch could be electrocuted. The lights could short out and start a fire. In homes with small children, take special care to avoid sharp, weighted, or breakable decorations. Keep trimmings with small removable parts out of the reach of children who could swallow or inhale small pieces, and avoid trimmings that resemble candy or food that may tempt a child to eat them.